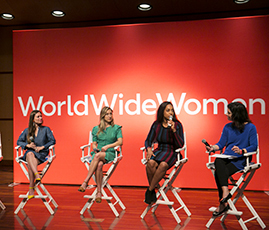 The central place to find valuable organizations and services exclusively for women in cities and countries around the world. 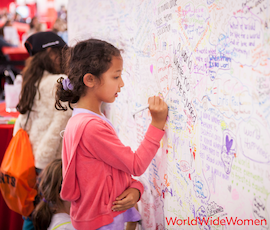 Imagine a day of fun, exploration and empowerment for girls. Purchase goods and services from women-owned businesses. 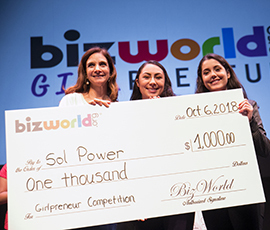 The Silicon Valley Voice posted a piece focused on our very successful Girlpreneur Competiton! Congratulations to the winners of $1,000 Sol Power and the audience's pick Team Celebrate! 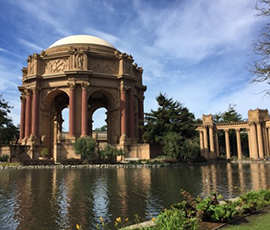 We are excited to announce that the fourth annual Girls' Festival will take place at the beautiful Palace of Fine Arts in San Francisco in November 2019. Stay tuned for updates! 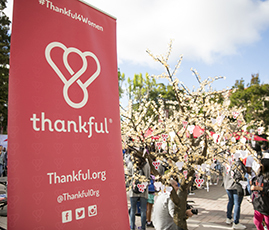 With your support, we will bring opportunity, inspiration, and guidance to thousands of girls in the San Francisco Bay Area through our fourth annual Girls' Festival. 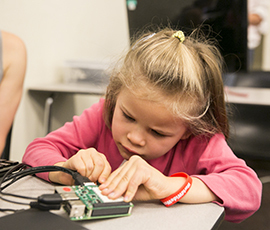 At this workshop, girls worked with circuits to build their own Droid Robot! Using block-based programming methods, girls could control the robot that they have built. 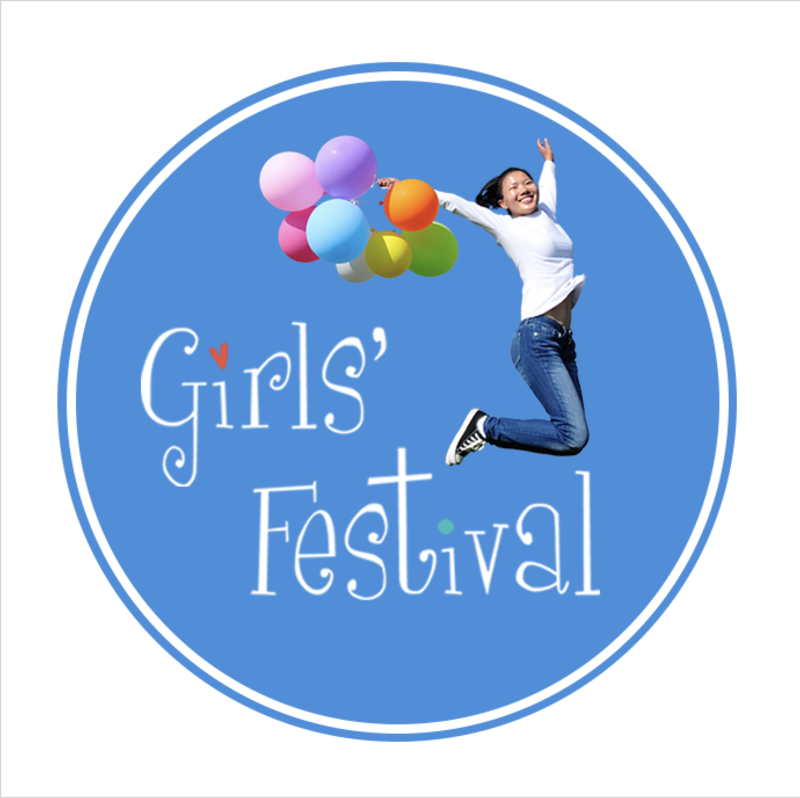 A must-see video made by ABC7, the Girls' Festival 2018 sponsor. Dion Lim, ABC7 News anchor, was reporting from the Festival with a little help from the girls who attended the Festival. 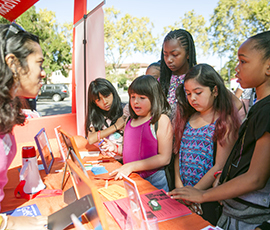 The Girls' Festival attendees had the opportunity to talk to 30+ organizations who support girls in sports, well-being, media literacy, self-confidence, health & safety, education, and advocacy. We had a special guest who came all the way from New York with a beautiful tree where girls and their families could put a written card with what they were most thankful for. 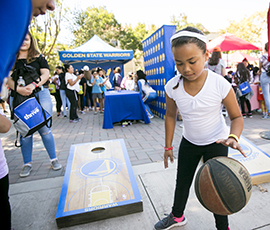 What better way to learn shooting mini hoops than with the help of the Warriors! Make It Better's article about the Girls' Festival accompanied with beautiful photos of the Festival's Main Stage program, workshops and coding classes.